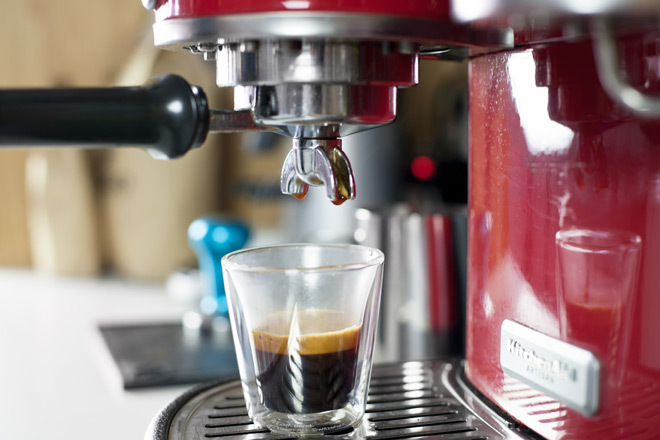 As anyone who’s ever tried to make the perfect espresso knows, it’s not as easy as it looks. There are a ton of different elements at play, from the temperature to the right amount of beans ground just so. Check out my guide to help you in choosing the best espresso beans. If any of those elements are anything less than perfect, you’re in danger of winding up with bitter, undrinkable sludge instead of the ultimate espresso that evokes memories of your summer in New York. But fear not. As the old adage goes, practice makes perfect. To help you reach perfection sooner, we’ve compiled this handy list of tips that will help you whip up the best espresso you’ve ever had without leaving your own cozy kitchen. Goodbye, morning runs to the coffee house! Check out for best home espresso machine. Whether you’re working with an espresso machine or a stovetop moka pot, we’ve got you covered. If you’re lucky enough to have your own home espresso machine, you’re more likely to wind up with a coffee house quality espresso than your stovetop-using counterparts. 1. Grind your beans just before brewing. For espresso, you’ll want to select a fine grind setting. Don’t use the same setting as you would for brewed coffee – that would be much coarser than you’d want for a proper espresso. 2. Pour cold water into the water chamber. Making Espresso recommends using one tablespoon of ground beans for each ounce of water, and warns that anything less precise will throw off your espresso shot. 3. Pack the beans evenly into the coffee basket, and level off the top to avoid any overflow. 4. Press the coffee with a tamper to ensure the beans are evenly distributed in the basket. 5. Let your machine work its magic. Once the foam, or “crema” at the top of your espresso starts looking more white than brown, remove your cup and savor your perfect creation! If a pricey espresso machine is beyond your budget, fear not. You can still make a mighty decent espresso with a stovetop moka pot. It uses steam to pressurize hot water to get it to pass through your coffee beans, resulting in a nice cup of espresso when done well. Here’s how to get it right. 1. Just as you would if you were using an espresso machine, you’ll want to grind your beans just before brewing. For espresso, select a fine grind setting. Don’t use the same setting as you would for brewed coffee – that would be much coarser than you’d want for a proper espresso. 2. Fill the bottom of your pot with cold water up to the fill line. If your pot doesn’t have a fill line, be sure not to go past the steam valve. 3. Put the coffee basket in the pot, and fill it evenly with the beans until it’s about three-quarters full. Don’t tamp the beans down. Redberry Sky points out that the coffee will expand once it starts getting damp, so you’ll want to pack it loosely since it will need some room to spread out. 4. Screw the top of the pot on tightly. The Hungry Mouse recommends using a towel when you’re screwing the top on to make sure it’s extra tight. 5. Put the pot on the stove on medium heat. You don’t want to put the heat on high, because if the coffee boils it will taste bitter. 6. Remove the pot from the stove once you hear the espresso sputtering into the top of the pot. 7. Serve your espresso hot. Enjoy! There’s something new brewing at the MyEspressoShop Blog.